Knowing the month and even the day of the week when you should promote the sale of a home can make the difference in an increasingly competitive advertising market. For Zillow and after a study related to the properties published on the websites of the group (which operates mostly in the US) in the first half of May, the supply pressure increases, with a positive impact on sales volume. Whoever advertises in this magical period manages to sell his house 18.5 days faster than outside this time window. 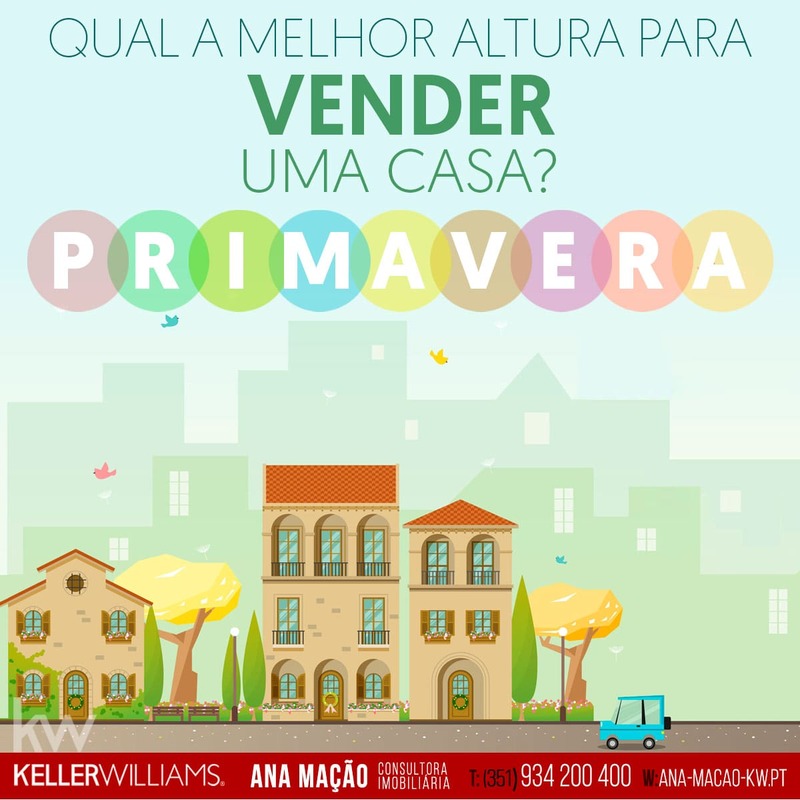 In any case, the period from March to June is the most appropriate period for selling your house, that is, during the spring. Regarding the day of the week, the study says that Saturday is the best day of the week to start the promotion and placement of sales announcements. Zillow portal statistics point to a 20% higher iteration of visitors that day than to other homes advertised earlier in the week. Spring is the best season of the year to sell your home. This is probably due to the fact that people are more absent during the summer holidays, or more occupied during the Christmas celebrations. Another positive fact about spring is that the houses are more inviting thanks to the gardens and the flowering outdoor environment. In addition, the period of sun exposure increases, benefiting the interior light of homes and increasing the time to book appointments. Summer has never been the best time to sell a home. Many people choose this period to enjoy their holidays and on the other hand the "family" type of buyers will be more busy managing their time of assistance to the younger ones because of the school holidays and then, at the end of the summer, with school start-up. Fall can be a good time to sell a home. The weather still makes it easy to visit.The number of buyers tends to decline after October and therefore, the opportunities that may appear should be taken advantage of. Winter may be the most difficult time to sell, especially before Christmas. If you are not ready to put your house on the market before December, it will probably be worth waiting until January, when people are more receptive to planning what to do during the new year. Summer is the season of the year in which the number of emigrants who visit our country grows the most. However, the market for investors and buyers belonging to this segment has been increasing in recent years. In 2016, for every five people who searched for home to buy in Portugal, one lived outside the country. The home purchase under the Gold Visas and the special tax plans for non-resident citizens has been a success, contributing significantly to attract investors, even outside the magical period of the previous spring. Sell your house faster or for the best price? Not always the time factor is the most important, at least for all sellers. There are homeowners who privilege the highest selling price as the determining factor. What these studies also suggest is that, as the year progresses, after the period of increased sale of houses, supply tends to become scarce, making the real estate for sale more attractive and susceptible to competing offers. This can contribute to good sales in terms of the final price. Choosing the right selling price , when faced with the price of other real estate for sale in the vicinity, is decisive. Advertising on as many specialized websites as possible , increasing the visibility window of your property is very important, without falling into the mistake of "trivializing your property" that " sale without exclusive contract " often entails. Posting ads to sell your home using quality photos / videos and good descriptions that focus on the features and benefits of your home (describing the services, schools, transportation, etc. that are nearby) is very important.